King Dharamapala established the university in the 8th century. 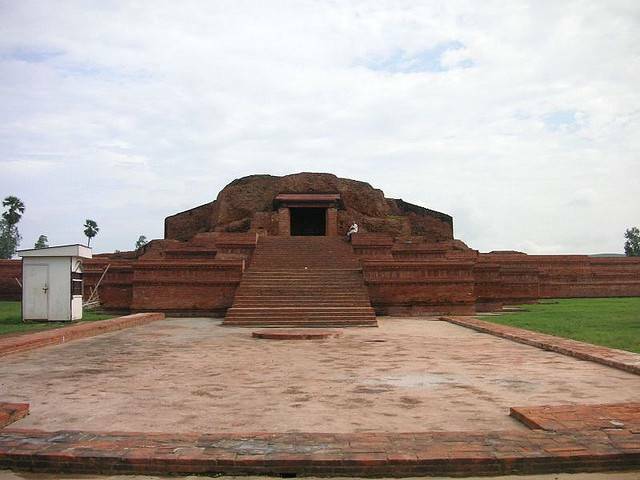 The Vikramshila University is located at a distance of 38 kms from the city and serves as a center for learning for Tantric Buddhism. The university is surrounded by the confluence of the rivers Kosi and Ganga along with 108 temples. Temples devoted to Lord Shiva and Maa Kali and the famous rock cut caves are present in its environs. The university was a highly acclaimed pilgrimage center in ancient times. The Vikramshila University is a repository of several Tibetan texts and is linked with theology.